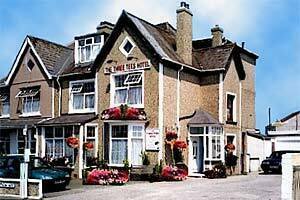 The Three Tees is a family-run 9 bedroom licensed hotel with a friendly & informal atmosphere. 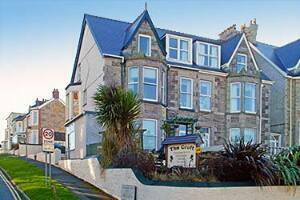 We are situated in the quiet Lusty Glaze area of Newquay, a short walk from the beach, & 10/15 mins walk from the town centre. All of our bedrooms are fully ensuite or with private bathroom. Children and pets are welcome - a collection of children's books, videos and games is situated in our large residents lounge. Rated AA 3 Star Guest Accommodation, Highly Commended 2007-8.